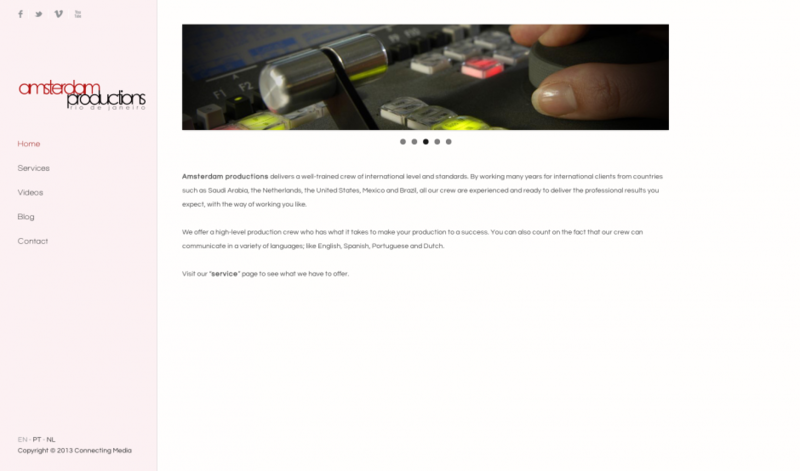 Connecting Media developed a new website for the Rio de janeiro bases video production company Amsterdam Productions. This website consist of a CMS system allowing the client to do the necessary updates as well as adding videos to the website. Also the already existing BLog was placed inside the website, what was one of the clients wishes. Together with the hosting package from Connecting Media this resulted in a website using the latest developments and functionality on all mobile devices.